Starling Javier Marte is a Dominican professional baseball outfielder for the Pittsburgh Pirates of Major League Baseball (MLB). He made his MLB debut in 2012. 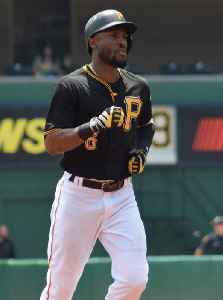 Marte is an MLB All-Star, and a two-time Gold Glove Award winner. Jordan Lyles cruised through six innings before taking a line drive off his pitching hand, Starling Marte and Erik González were also pulled following a collision in the field, and the short-handed..